Every ceremony presents personalized opportunities. Whatever the tag, Life Appreciation Ceremonies are unique. Most are body present ceremonies. They are celebrations of life that access the heart and bring healing as only love can do. Many are participatory. Some are held in wonderfully unique environments that sooth and comfort. Life Appreciation ceremonies are never copies of ones held before them. They may include memory boards, contemporary music and other wonderful personalization attempts; however, Life Appreciation Services go far beyond these current creative aspects. Each is unique because each loss is unique. The Jones Family and its support staff believe strongly in personalizing every single service they have the honor of participating in. Several options are provided at no charge to the family to enhance the life appreciation experience. 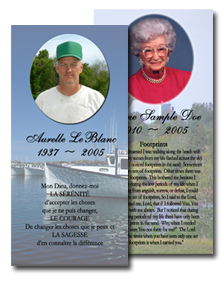 Cards with a picture of the deceased a personal poem and or thank you as well as the complete obituary are provided at each visiting hour and/or service for everyone in attendance. A candle is created with a picture of the deceased and a personal poem. This candle is lit during visitation and during the funeral service then given to the family to take home. One of the most touching moments in a service at our funeral home is when people take 10 or 15 minutes to watch a video presentation made up of pictures from throughout the deceased's life. This presentation, put to music, takes each viewer through the life of the deceased and puts them in touch with spirit of their life. 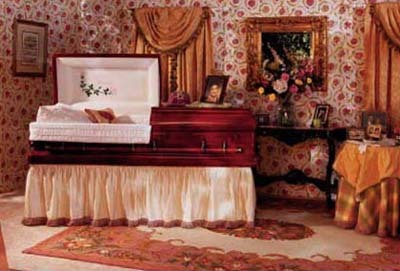 These are some of the ways the our funeral homes stresses the importance of personalizing the tribute to a loved one. Alan D. Wolfelt, Ph.D. is one of the world's most renown doctors in Grief psychology and offers a miriad of information to help people through their grief. You may visit his website at centerforloss.com. Below we have included an article by Dr. Wolfelt about personalization. I hope you have been encouraged in your efforts to create a personalized funeral ceremony. While it may seem overwhelming right now, I promise you this: a well-planned, inclusive, personalized funeral will touch your family, the friends of the person who died and you yourself deeply. 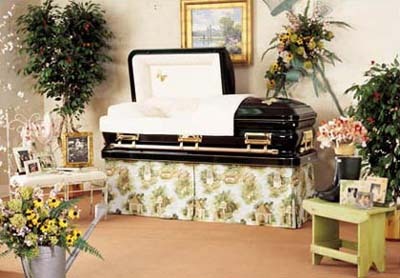 The funeral will help you begin to heal and will provide you with great comfort and satisfaction in the months and years to come..